Employee retention and loyalty is a key part of any successful business, and no employer enjoys having to let people go, whether it is one person or 20 percent of the workforce. However, sometimes operational changes, shifts in the market, and narrowing profit margins require companies to layoff a portion of their employees. Employees will react negatively to this news, even if it was anticipated, and an employment dispute may soon follow as challenges to the layoff or the terms of the dismissal are challenged. In an effort to protect the interests of labor, any employer who institutes layoffs must adhere to certain laws when doing so, and retaining the services of an attorney with experience in civil litigation, including business law, can help ensure a layoff does not instigate a slew of complaints and lawsuits. Recently, a former employee of a San Francisco-based company filed a complaint on behalf of himself and fellow former employees against the company, alleging that the company laid the employees off without cause or advance notice, in violation of federal law. A discussion of the federal law, as well as some practical considerations when defending against a legal claim as an employer, will follow below. When an employer institutes a layoff, closes a facility, or downsizes, that employer’s employees have certain rights, which come from the Worker Adjustment and Retraining Notification Act (WARN). Generally, WARN requires certain employers to provide advance notice of layoffs and closings which result in a certain percentage or number of employees losing their jobs. WARN is applicable to businesses with 100 or more full-time employees or 100 or more employees who work a combined 4000 hours per week. Further, WARN applies to closings which result in a job loss by at least 50 full-time employees during any 30-day period, or layoffs which result in a job loss of 500 or more full-time employees or, if less than 500, greater than one-third of the employer’s workforce. Additionally, WARN will be applicable to employers who institute closings or layoffs in stages. For actions covered by WARN, affected employees are typically required to be given 60 days’ notice of the closing or layoff. This notice must provide information about the event, including whether it is expected to be temporary or permanent, the commencement date, and when the employee will receive a termination letter. However, WARN does not apply if the closing or layoff is a result of a strike or lockout, if the facility was intended to be open temporarily, or if the employee was project-based. In instances in which business circumstances require, a company may be permitted to give less than 60 days’ notice, although it must state why it could not comply with standard notice requirements. 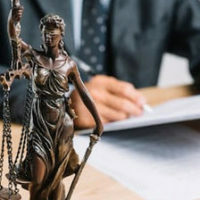 Avoiding legal action is the goal of every employer, and the easiest way to head off a potential lawsuit is to give employees as much notice of a layoff or closing as possible, even if the employer does not fall squarely within provisions of the WARN Act requirements. Further, if layoffs are anticipated, using early exit incentives, and reducing the size of the workforce through attrition and transfers is one way to avoid the WARN Act provisions from being triggered. Additionally, if layoffs are uncertain, conditional notice should be provided, including what event would trigger dismissals, as the window to implement layoffs under these circumstances would be smaller. Finally, if the notice window cannot be satisfied, employers should consider offering compensation for wages and benefits to affected employees for the remainder of the notice period. If your company is facing complaints related to layoffs or facility closures, contact the attorneys at Leontire & Associates, P.C. as soon as possible. We have experience in various aspects of employment law, including understanding the laws regarding employee layoffs. Protecting the interests of your company is vital and the attorneys at Leontire & Associates will use our knowledge to help your company minimize liability and address pending legal claims. Contact our Boston office today.